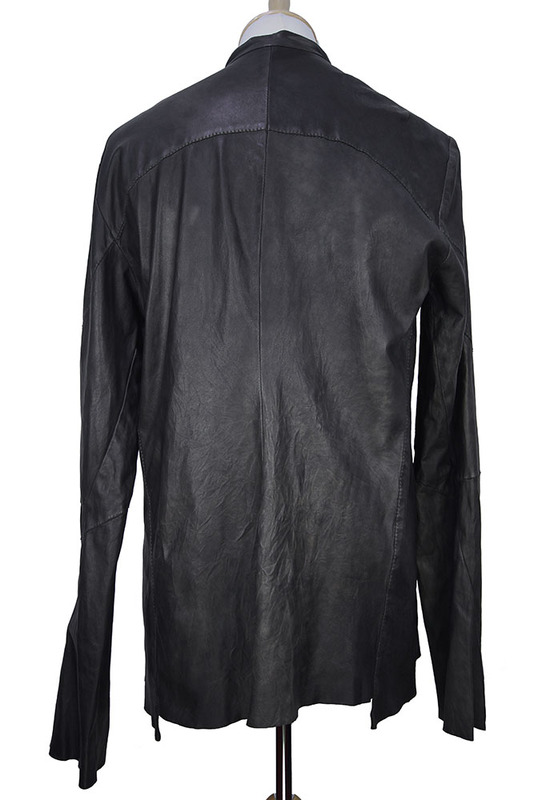 Masnada 'Man' leather shirt, in the finest leather in black, Oil Slick. Round neck double layered. 8 button fastening, mother of pearl. Panel construction. Sleeves are spiral construction as found on many Masnada pieces. Inner button strengtheners on each button. Seam details. A quite stunning piece!